In two weeks the 19th Party congress will convene. Much chitter chatter about who will be in what position and what it implies. But if you go back to the 18th Party Congress in 2012, the important issues were not the identity of the new leaders. It was the context of the development of China from 1949 to 2049. From a destroyed backward nation with an average life expectancy of 27 to a modern developed economy and then to high income shared economy by 2049 – the economic dimension of Socialism with Chinese Characteristics (SCC). The 18th Party Congress resolved that the economic development path, towards a new mixed economy on the way to Socialism with Chinese Characteristics by 2049, was going to resist the power of those who had diverted the power and wealth , consciously or unconsciously. It was a changing of power and approach, and a step back from tolerance of corruption. It was a firm return to the historic ways of China, that officials should act in the people’s interest to build the nation and enable the people, and to resist personal ambition and wealth. It was a determination to move into a managed mixed economy where the Soe’s would play a key role, supported by Party Committees and other features to work with a Party-created private sector in a new form of a mixed economy. All the outpourings of the Western media for a smaller state and privatisation missed the road China was embarking on in the 18th Party Congress. And when we stand on the eve of the 19th Party Congress, 5 years later, we can see they have done just that. China stands prepared for an extended period of a mixed economy, and its officials and Soe’s are aware that they are where they are as a duty, and not as a benefit. The construction of the new managed market economy is partially complete in terms of main principles such as the role of Party Committees, and the streamlining and more flexible ownership of Soe’s. Quite a lot of detail is also in place but the next five years will see the picture completed and fully operating. More openness will become evident and the financial sector will mature and open. Internationally, China has emerged as a regional and global power and is involved in all the many regional and global issues . President Xi, expresses on behalf of China, a new view of the direction of the world, a new view of Asian regional collaboration, and the breath-taking new views of the New Silk Roads – BRI, and the support for the launch of an African Industrial Revolution. So if we ask what the 19th Party Congress will demonstrate, we must understand that it is an interim Congress and that its main role will be to hold to the course of the 18th Party Congress. Some will have tried to resist that but failed. Developing a new mixed economy, focusing on innovation to become sectoral world leaders with other advanced nations, using its resources to share with nations across at least three continents and work for a world that is based on multi polar commitment to peace and sustainable development. And on top of that to work for a healthy society that reflects China’s great civilising values stretching back hundreds and thousands of years. Are these just words as mouthed by politicians all over the world? No with China it is different and see these as words if you like. But the role of the Party in transforming China since 1949 and, in particular, since 1978, is unique and that is long term vision is at the centre of what they are doing. China is likely to become the most important nation in the world because they are focused on 100 years out, and adjust according to the realities they experience. They expect trouble and challenges. They know one thing is constant – problems. They address them and work on them. They are serious and committed and very democratic in their way of working at development. It is not top down. The line may come from the top, but it is informed from the bottom up, and fleshed out in the middle. The scientific method is key and people-focused is the starting point. There are many cynics about China. Many who think what is written above is sycophantic. 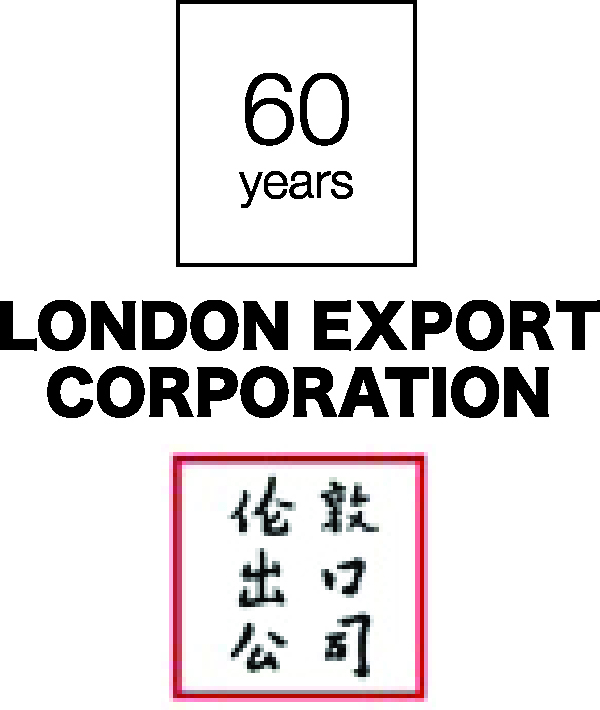 But the 48 Group was accused of that when London Export Corporation started it in 1953. My father listened to Dr Joseph Needham and his work on the Science and Civilisation of China. He saw China would return as a leading world nation. He was called sycophantic and other less pleasant names, but he was right. Today I listen to Professor Peter Nolan, the man who understands China today and its future direction best. I am called sycophantic and worse. But I think the sooner we grasp the reality of the future direction of China and its effect on the world and us, the sooner we can work towards our own benefit from this. Some may be thinking of challenging and fighting China to try and stop their development. Waste of time. China does not present a long term threat unless we push China into a corner of self-reliance. That will also be reflected in the 19th Party Congress – the commitment to self-defence. The world used to be based on army, navy and air force. Now it is based on cyber and space and high technology. That changed about 20 years ago. China is among the world leader in all sectors I would guess. They are prepared to defend themselves in modern ways. The nuclear threat may have reduced war to an obsolete route. China expresses the hope that nations will focus collectively on economic development, especially as the antidote to terrorism. The 19th Party Congress will support the many transnational initiatives taken by China since the 2013 speech by President Xi in Kazakhstan. BRICS, SCO and other groups were linked in with the transformational OBOR – the New Silk Roads now labelled BRI. Today we have a developing world with many links in their economies and transnationalism is replacing globalism as the focus. Transnational infrastructure and markets and corporations. Transnationalism is about developing uniformity of systems to enable infrastructure to move swiftly across nations. It enables complex funding. It provides the basis for development policies which contain features of globalisation. But it does not force markets to open nor does it challenge systems. It provides the means to create intercontinental transportation and carriage of energy and telecommunications. It is the developing world, led by China that is innovating transnationalism. It does not seek to create universality and change systems and regimes. It seeks to ensure the world comes from poverty to a sustainable place – a journey of 100 years at least. That is what China is leading with various groupings and concepts. Global products may come and go. But transnational markets, production and innovation is here to stay. China gets these things because they are looking ahead into the future always. Capitalist economies divided between the private sector and the state will always have a problem to work together and focus on the future. China is succeeding because for historical reasons it can mould the two. So the 19th Party Congress will reflect that the radical changes instigated in the 18th Party Congress are in good shape and will go deeper in the next five years and ensure the 2021 centenary policy goal of shared prosperity is firmly in place. Don’t worry about the who, focus on the what’s and the long and short term to get to the long term. The strategies for working with China can only emerge from understanding China. Lastly, will this all work? Are the Party and its leaders up to the tasks? Can they manage the unpredictable challenges ahead, the power of the USA? Can they get the various strands to work together when needed? Above all, can they stay to the vision when the seduction of money and power rises even higher? My take is if President Xi had not won the election in 2007, and the attempted put down in August/ September 2012, then China would have been hard pressed not to stop a diversion of the mission to some quasi capitalist economy and society. But those backing him and he won the day, and emerged to lead China. They are the successors of those who called in 1962 for the Four Modernisations, they value history and they experienced the Cultural Revolution. I think they will keep the ship on course for the next 35 years at least. After that, who knows? This understanding and interpreting has been the role of the 48 Group for 65 years and let’s hope it has the future to continue this work. We are a group dedicated to understanding China and helping businesses and governments develop effective strategies based on the emerging China. Let us hope the next generation of readers of China emerge in the West, and are not marginalised by those who focus on changing the Chinese system and regime. It is a very unlikely target. So let’s hope for a new generation of China analysts. The West lacks a visionary economic outlook. China does not. It is based on 5000 years of history and civilisation.